The process of designing and constructing a highly efficient, comfortable, and healthy building is challenging enough when the site is in the United States; that becomes a much more difficult endeavor when the site is on the most remote and coldest place on Earth. The design team for the new McMurdo Station in Antarctica approaches the problem with a holistic mindset centered around stewardship. 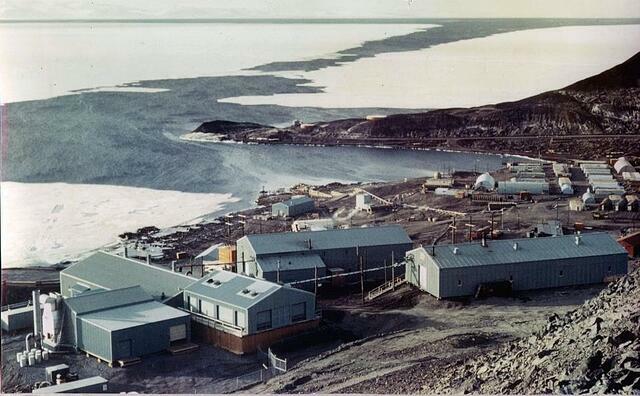 In December 1955, the United States began permanent occupation of the McMurdo Station site on the Hut Point Peninsula of Ross Island in Antarctica. The station’s campus was comprised of around 30 ‘temporary’ hoop structures, Quonset huts, and prefabricated buildings which were erected incrementally as the mission of the program expanded. By 1960, 90 structures occupied the area. The station has primarily produced power from diesel and fuel oil throughout its history, but for a short time was supplied by a nuclear power plant (the first and only of its kind on Antarctica). The ‘PM-3A’ nuclear reactor operated from 1964 to 1972, reducing the station’s dependency on fossil fuels, but ultimately was found to be an unreliable and costly energy source. The nuclear power plant was decommissioned and since that time, diesel generators have been used in its place. Waste heat from the power generation operation is used to provide space heating and hot water for the station buildings. Today, the 164-acre station serves as the logistics hub of the U.S. Antarctic Program (USAP) – equipped with a harbor, three aircraft landing strips, and a helicopter pad – and is also the center for diverse scientific research endeavors. The National Science Foundation manages the USAP and its facilities. The current campus is comprised of 106 individual buildings, many of which are at (or past) end of life. The average age of the buildings is 35 years and six of the original structures are still in use today! The Antarctic Infrastructure Modernization for Science (AIMS) project is a renovation effort intended to consolidate and improve the built environment at McMurdo station, reduce facility energy use and O&M costs, increase operational efficiency for occupants, and encourage collaboration and a sense of community. The project recently completed 35% design documentation for several of the core buildings and the RFP issuance is currently planned for early 2018. Details regarding the design and commissioning plans for the building were provided by an engineer working on the project. 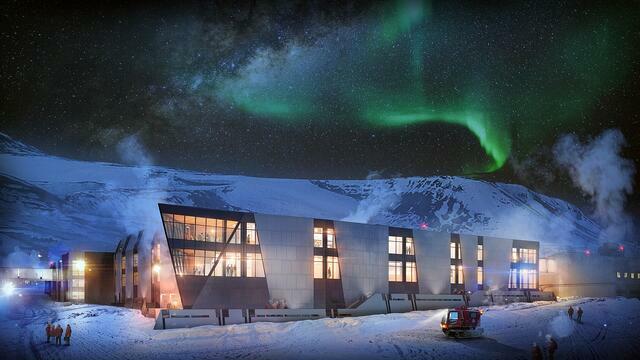 The new McMurdo Station will consolidate the existing 104-building operation into 16 buildings; 10 existing buildings shall remain in place and 6 new buildings will be added. The new construction alone totals 300,000 square feet; this large-building campus will better serve the scientists, who currently must visit 16 disparate locations on site to perform their job functions and engage in research expeditions. A promotional video created by the USAP describes the intent of the new buildings’ design: to significantly reduce the size of the station’s footprint, decrease energy demands for heating, lighting, and water production, create safer and more efficient working conditions, and to prevent escalation of operations and maintenance costs. The table below, provided by Margaret Knuth (Operations Manager for the National Science Foundation) shows the anticipated reductions in fuel usage as well as numbers of vehicles and contractors on site. A major goal of the station is to increase the efficiency achieved by the diesel power generation process by performing a combined heat and power (CHP) operation. In this manner, the ~30% efficiency of diesel can be increased to ~80% by using waste heat from the power generation process to provide space heating and domestic hot water. This is crucial to Antarctic operations; as much energy as possible must be extracted from the fuel for several reasons: the station runs on U.S. taxpayer dollars, every gallon of fuel is shipped to the station from afar, and every dollar not spent on operations can be used to fund more scientific exploration. ASHRAE 90.1 and LEED v4 are being used as guidelines, but the philosophy for McMurdo station’s design is intentionally a step beyond both standards and certifications. At least one building will be LEED-certified, though the design team acknowledges that even v4 is not well-tailored to a building on the seventh continent. For instance, a unique consideration due to the project’s location is snow, wind, and snowdrifts. The form and placement of the new buildings and entry courtyard incorporated input from extensive snow modeling to reduce snow management needs and costs. The first building to be constructed will be the station’s new data center. Extensive modeling of the annual outdoor temperatures, waste heat from servers, and forecasted energy demand was performed to determine the feasibility of using excess data center heat to serve other campus buildings. The current design incorporates a micro-turbine and heat pumps to accomplish this goal. The landmark building that will be the most populated (especially by visitors) will be the Central Services Building. Hence, the design of the envelope includes more glazing than might be expected in a polar environment. Since the building will be a meeting place, presentation space, and eating area, the design affords spectacular views of the Transantarctic mountain range. To ensure that the envelope does not reduce the projected energy savings of the building, the design team vetted a large number of high-performance glazing manufacturers to determine the best product for the harsh environment. Construction is anticipated to begin in FY 2019 and complete in 2024, and erection of the new station must allow for uninterrupted scientific research operations. 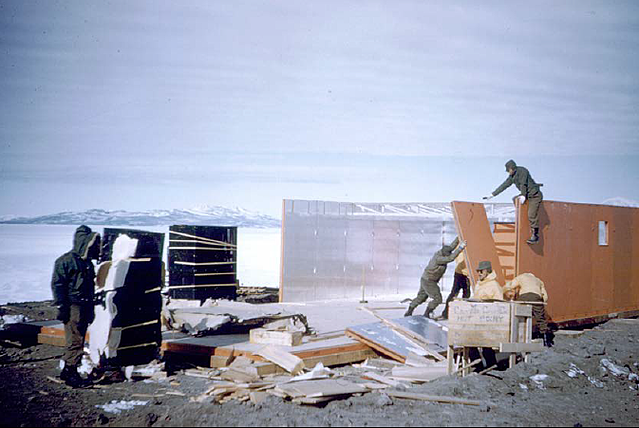 Building components shall be prefabricated off-site and will be shipped to Antarctica to minimize exposure to extreme weather conditions and reduce construction duration. Continuous commissioning is a central tenet of the existing station’s operation and shall continue with the new buildings. In 2015, the onsite power plant was underperforming and operators could not determine the root cause. Rocky Mountain ATS suggested adding Skyspark to the existing systems to get answers. Within a month, problems that had been causing issues for years were visible, and the value was immediately recognized. Therefore, the new buildings will be controlled using an Allerton system with Skyspark, with Group14 Engineering providing design-phase commissioning. As part of the design process, control points were discussed and scrutinized at length so that the desired points are immediately available and problems can be resolved quickly. As many building operators are aware, adding control points after the fact is much more difficult and usually has an associated cost. By continuing to use unified platforms with centralized data streams and easy visualization for analysis, the new McMurdo station is positioned to not only perform well on day one, but also is equipped to continuously monitor and resolve problems before they result in increased energy use and O&M costs. 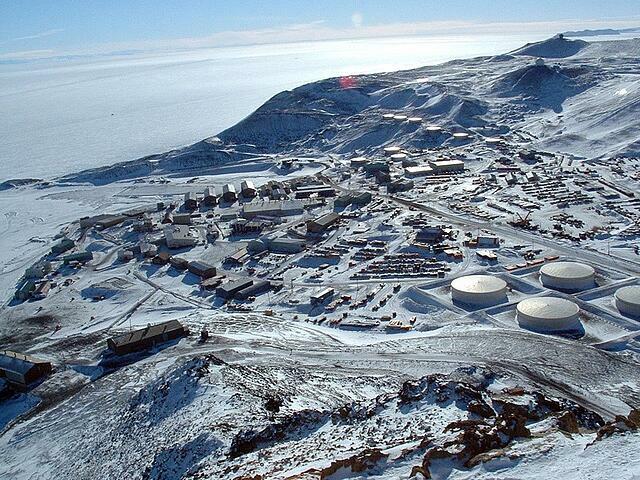 Follow the design and construction of the new McMurdo station at the USAP's website: http://future.usap.gov.